Gluten-Free Banana Bread, homemade, a photo by sherimiya ♥ on Flickr. Of all the gluten-free baking I've done within the past few months, I'd say the lemon blueberry loaf I posted about here is still my greatest success. That is, until now! This banana bread gives that one a run for the money. It's moist, dense, flavorful, holds together nicely and has a lovely brown color. It's delicious! And what's even better, this one calls for no xanthan gum at all. There may or may not be anything wrong with xanthan gum, which is a bacterially-derived polysaccaride whose purpose in gluten-free baking is to act as a binder, making the dough stickier and adding stretchiness and elasticity. Its allergenic potential is unknown (and some GF people are sensitive to it), but without it, some baked goods turn out crumbly and short. There are other ways to achieve the "glutenous" quality, but sometimes you can just simply omit it, with no problematic effects. This recipe is a great example. Maybe it's due to the naturally moist bananas, but this bread turned out just like regular banana bread. I used the recipe in the book "Gluten-Free Made Simple" by Dahlstrom, Burnley and Dahlstrom, and highly recommend it. Preheat oven to 350F. Grease a 9x5 inch loaf pan. In a large bowl mix sugar and butter until creamy. Add eggs and bananas. In a small bowl mix buttermilk, baking powder, baking soda and salt. Add GF flours to the butter mixture and mix well. Bake 25 minutes or until toothpick inserted comes out clean. Looks so moist!! Yay for the bananas ^_^!!! Some vegan recipes substitute eggs for bananas, so I guess they are super good to bind everything up!! Bananas are awesomely naturally GF -- woo! 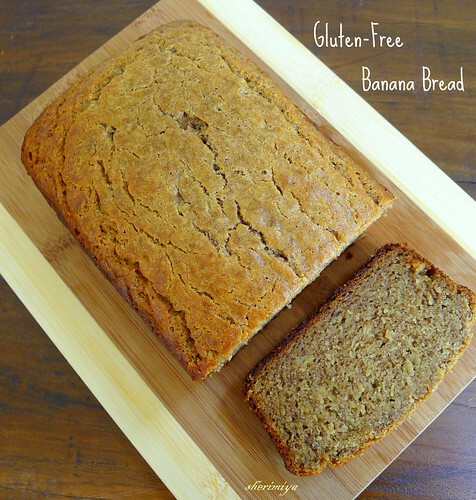 Oh my that looks even better than non-GF banana bread!! Ooh, this really does look moist! I bet that it's super-yummy with just the right amount of crumb, too! ^^ You're doing a great job at baking! this looks so good! I think I'll try this recipe - I bet my son would love it! My kids loved it and I hope yours does too. Thanks Kristie! do I add the GF "flours" to the buttermilk mixture? This is why I'm not a copy editor. Sorry! Add flour mixture to butter mixture and mix well. Then, pour into pan as stated. Thank you for pointing out my omission. Bake away! Mama mia, i always LOVED banana breads and cake, and this one looks so yummyyyyyyyyyyy !!!!!!!!! 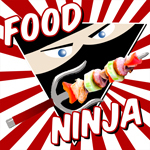 I wish i could eat it right noooooow !!!!!!!!!!!!!!! 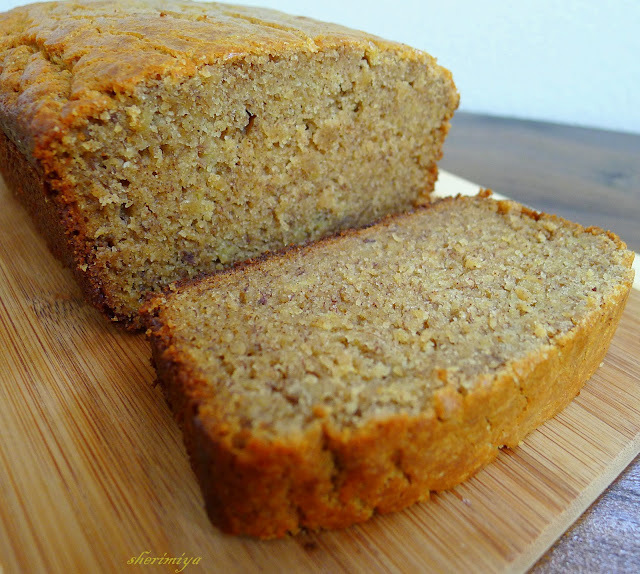 This one is really good, and if you like banana breads, you will love it. It's very easy; you should try! Thanks Kelyrin! I made this the other night and it was a hit! I changed the recipe just a bit but it still turned out amazing!!! Thank you for posting so many wonderful things on your blog. I read it all the time! Do I have to use the buttermilk? Can I just use 2% milk? Trying to avoid going to the store. Thanks!